Across the global North, right-wing authoritarianism is on the rise. Donald Trump in the US. Doug Ford in Canada. Marie Le Pen in France. Nigel Farage in the UK. Santiago Abascal in Spain. In the context of economic crises, these figures have built a following by deriding a self-defined “outsider” as threat to the livelihood and safety of those they consider to be “insiders”. People of color, or those that identify as women, LGBTQ, or working class, have variously been presented as a menace to the social fabric. South Asians in the global North have responded to these forms of exclusion in multiple ways. Some, such as Hindutva-linked groups in the US, have joined the bandwagon of racism and lent support to right-wing authoritarian regimes. Others, such as US-based Dalit activists like Thenmozhi Soundararajan, appear as their foremost adversary. Jamhoor wants to explore the gamut of these responses: both right and left. We want to examine these contemporary struggles through a grounded analysis of their contexts, their strategies and their visions. But we also want to uncover, and learn from, the way South Asian communities have responded to similar moments in the past. 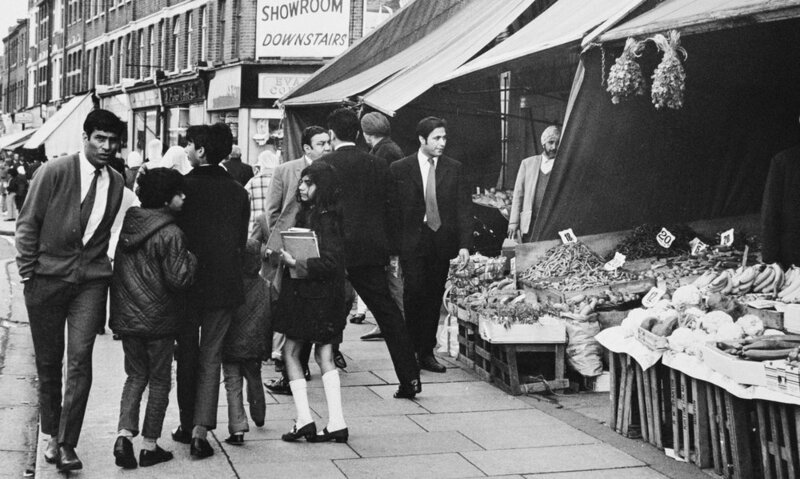 In the 1970s, South Asians built organizations to combat vicious rising white supremacist and anti-immigrant sentiment in the UK, encapsulated in the Conservative MP Enoch Powell’s notorious “Rivers of Blood” speech. Before that, in the 1920s, the San Francisco based Ghadar Party launched a twin-assault on local racism against Sikh immigrants and trans-national colonialism symbolised by the British Empire in India. These pasts provide a fascinating comparative frame through which to interrogate our present moment and its constitutive struggles. We welcome contributions that look at diasporic politics historically. We welcome pitches or full submissions in a range of possible forms. Commentaries, essays, reviews, poetry, photography, short films, short stories are all welcome. Submissions and pitches can be in English or any South Asian language. For pitches, please submit a brief (100-200 words) summary of your idea. Also tell us what makes you qualified to create this contribution. Deadline for pitches or submissions is April 30th 2019. Submit or pitch your work at contact@jamhoor.org.